A new collaboration between IBM Watson Health and the Broad Institute of MIT and Harvard aims to shed new light on an old question: Why do some tumors resist drug treatment over time, while others don't? The $50 million, five-year collaboration has set an ambitious goal of discovering the basis for cancer drug resistance, a major cause of the 595,690 U.S. cancer deaths projected for this United States year, according to the American Cancer Society’s “Cancer Facts & Figures 2016” annual report. The ability of most cancers to become drug resistant by acquiring mutations explains why most cancers eventually recur, even as a growing number of cancer treatments have shown they can fight the disease for months or years. The Broad Institute will generate tumor genome sequence data from patients who initially respond to treatment before becoming drug-resistant. The Broad will also help identify the specific vulnerabilities of tumors by using genome editing methods to conduct large-scale cancer drug-resistance studies in the laboratory. “At the moment, we plan to use CRISPR-Cas9 methods to systematically discover the vulnerabilities of cancer and to understand which genes in the genome can make tumors resistant,” Dr. Golub said. 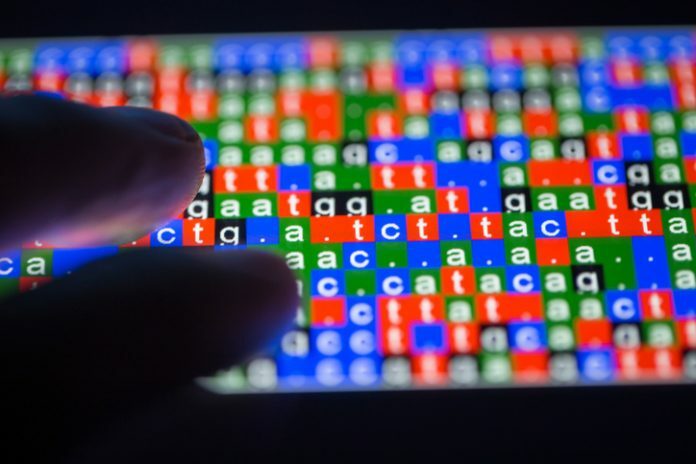 IBM researchers will use Watson to analyze the data and identify genomic patterns that may help researchers and clinicians predict drug sensitivity and resistance. The anonymized data to be generated will be made available to investigators, with the intent of catalyzing research worldwide. Watson Health and the Broad Institute are still working out the details of the research plan, which Dr. Golub said will likely involve multiple cancer types. The new cancer collaboration by IBM Watson and the Broad is the latest application of Watson for Genomics, a cloud-based solution that uses computational biology approaches to analyze patient genomic data and highlight possible disease mechanisms along with potential anti-cancer drugs to consider. Last month, IBM Watson Health joined Quest Diagnostics in launching a new service for oncologists that is designed to advance precision cancer treatment by combining cognitive computing with genomic tumor sequencing. The Broad Institute provides additional genome sequencing capabilities for the service—called IBM Watson Genomics from Quest Diagnostics. It supplements Watson’s base of scientific data with OncoKB, a precision oncology knowledge base of Memorial Sloan Kettering Cancer Center. The service enabled IBM to make its Watson for Genomics widely available to patients and physicians nationwide for the first time. In addition to the partnerships with the Broad and Quest Diagnostics, IBM last month also inked another drug-focused collaboration—an expansion of a year-old global e-health alliance with Teva Pharmaceutical Industries designed to develop new uses for existing drugs and advance chronic disease management.